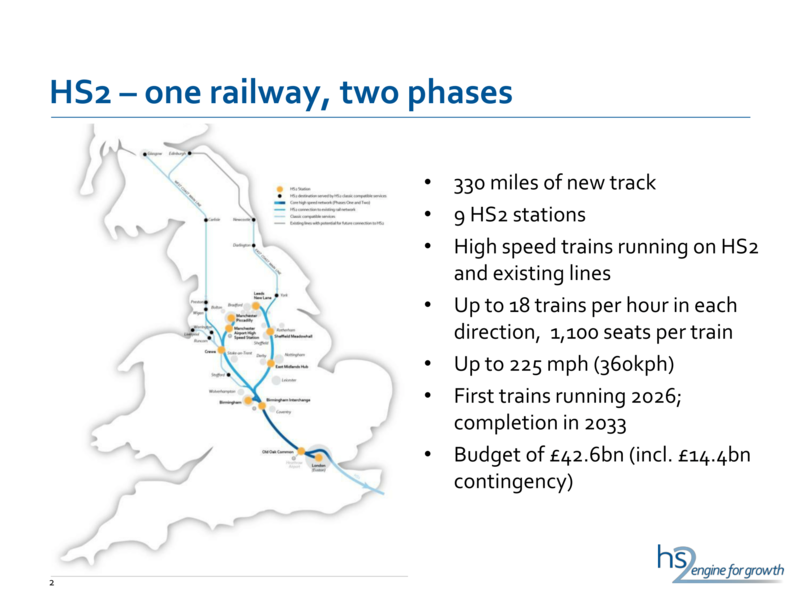 A HS2 Ltd paper estimated 183 weekend closures of a day’s duration or longer on the existing railway would be needed to allow for construction of its London – Birmingham high speed line. That figure is likely to change, because in March 2014 the government accepted recommendations from HS2 chairman David Higgins for a more comprehensive redevelopment of Euston than the plan currently in the bill, the Guardian reported. 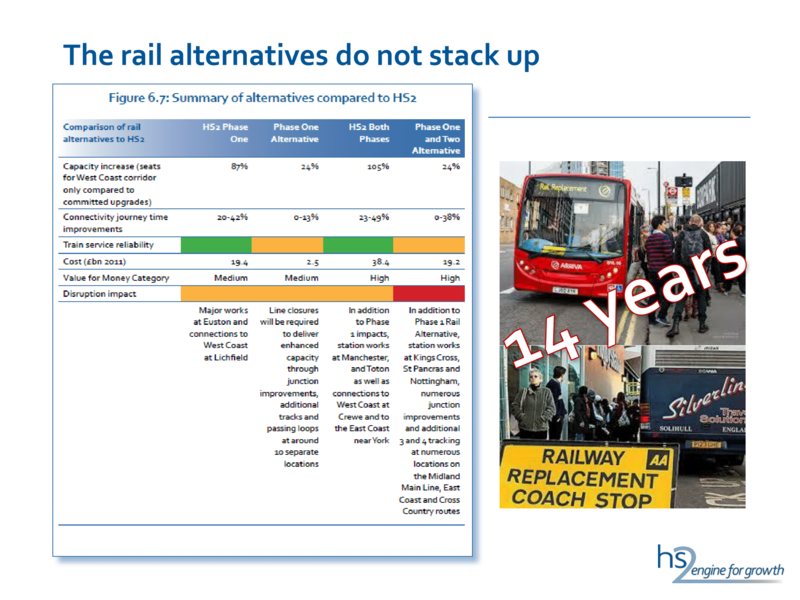 […] The number of weekend closures comes from an HS2 Ltd information paper prepared for the hybrid bill committee, based on plans submitted to parliament in November 2013. The paper said the closures would be done in normal night-time and weekend maintenance periods so as to minimise disruption to passenger and freight services. Construction of Britain’s second high-speed rail link will lead to the closure of several lines for up to 33 weekends and Euston station for 19 weekends, campaigners have said. Figures from HS2 Ltd, the public body responsible for developing and promoting the plans for a new London-to-Birmingham line, show that proposed closures include those of the west coast mainline near Lichfield for 31 weekends, the Derby-to-Birmingham line for 32 weekends and 33 weekend closures at Old Oak Common affecting Crossrail and the Great Western mainline. However, that figure seems to have changed already, because page 24 of the July 2015 Government Response to the Lords Economic Affairs Committee gave the ‘indicative number of weekend closures’ required to build HS2 phase one as 223. 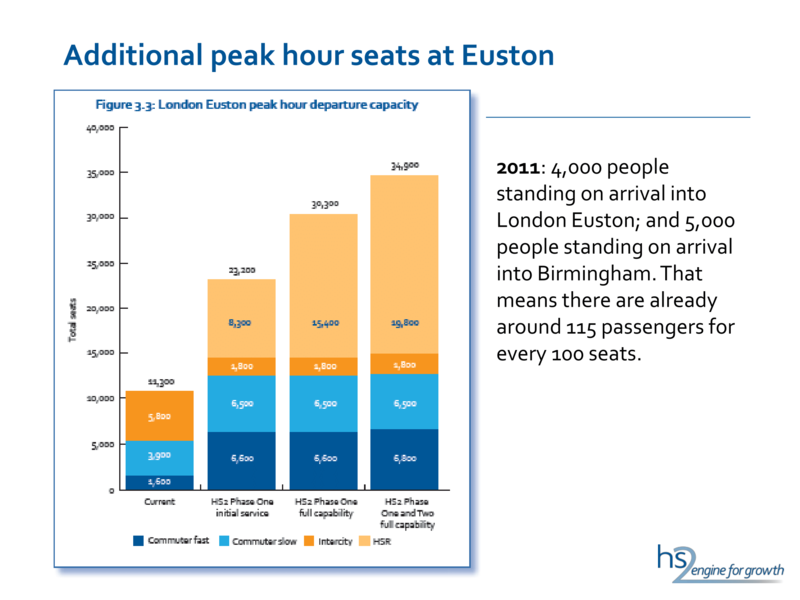 It has been said that without HS2, Euston would need to be ‘rebuilt anyway’. What has never been said, is why it would need to be ‘rebuilt anyway’. 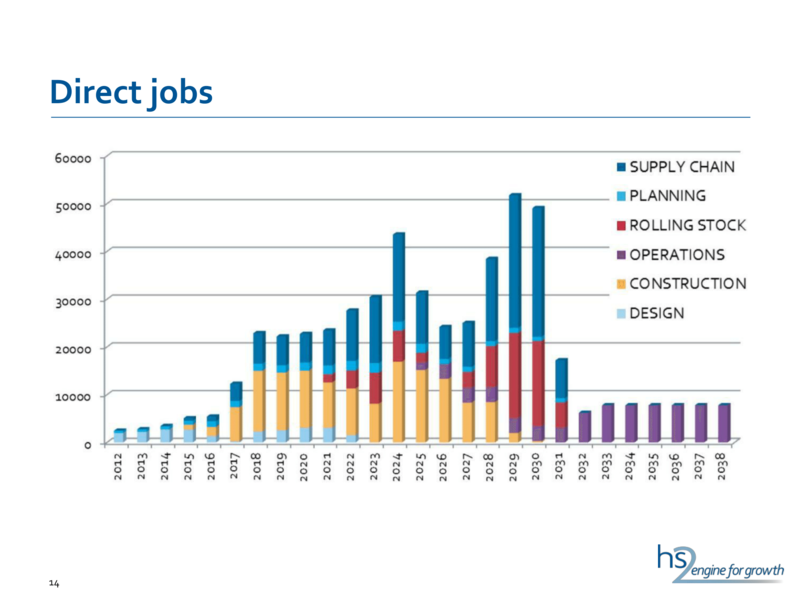 On 19 June 2015, WSP Parsons Brinckerhoff announced that it had been contracted to undertake an ‘early phase study’ to investigate the realignment of existing tracks around the HS2 Old Oak Common site. “Early phase study”. In other words, there was no detailed information about the amount of classic works required to accommodate HS2 at Old Oak Common. 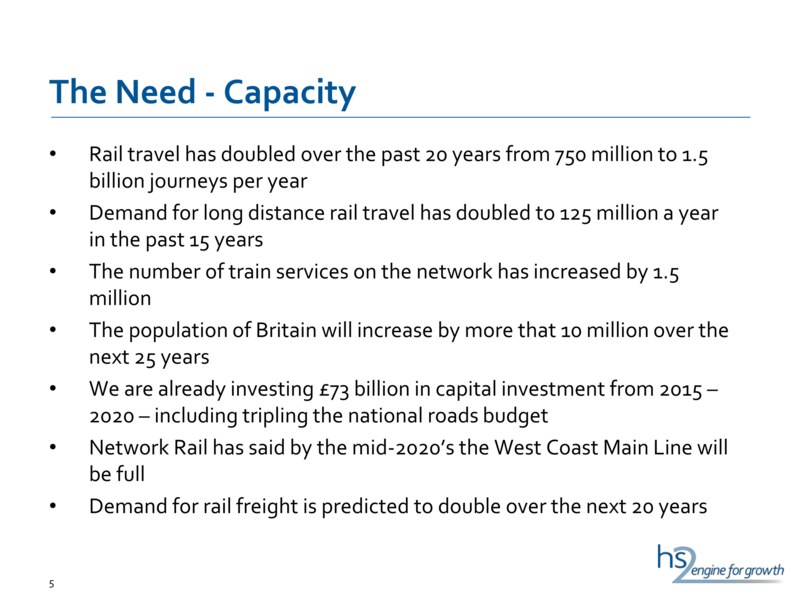 Birmingham local enterprise partnership is seeking £3.3 billion of government “investment” to “exploit the economic opportunity offered by the planned HS2 rail link with London”, the Financial Times reported (paywall). 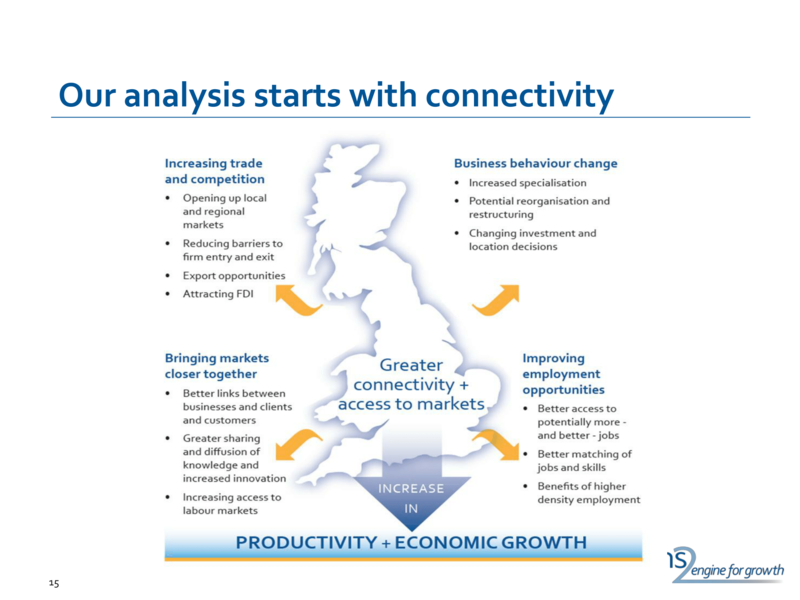 The Greater Birmingham and Solihull local enterprise partnership (LEP) wants to improve transport connections, invest in supply chain companies and create or safeguard 100,000 jobs – 10 per cent of which would be for local unemployed people. 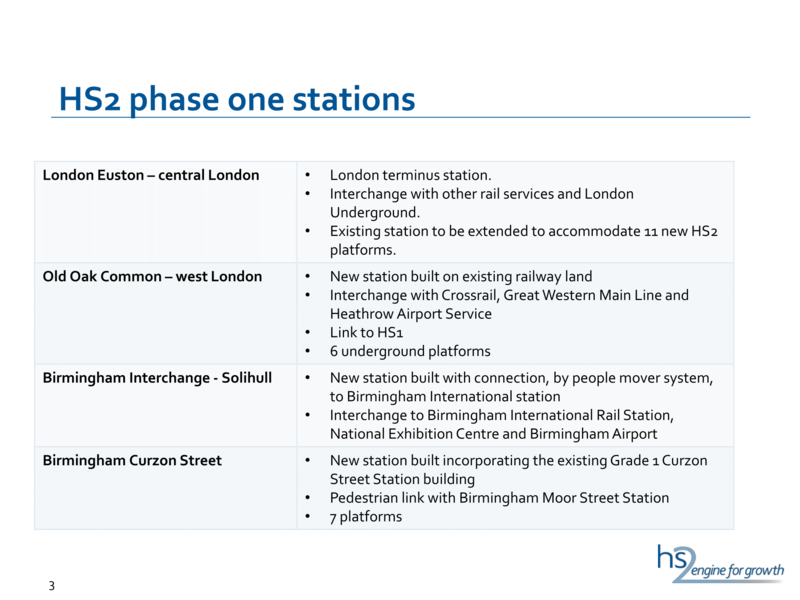 […] The LEP’s HS2 plan, which was published on Thursday, envisages an interchange station at Solihull, accessing Birmingham airport and the National Exhibition Centre, as well as a terminus in Birmingham city centre at Curzon Street. 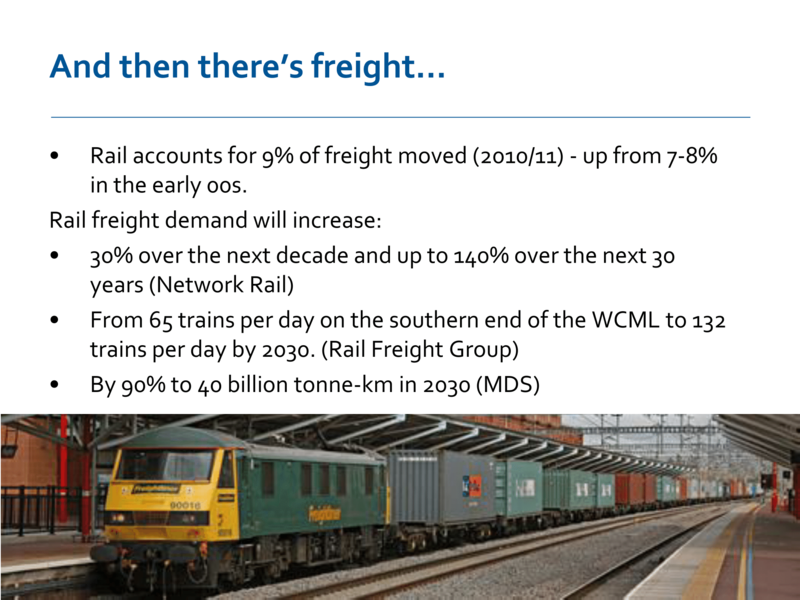 […] It is seeking £2.9bn to develop Curzon Street and Solihull stations, and invest in related infrastructure. On top of this, £366m is earmarked to support business and the supply chain. 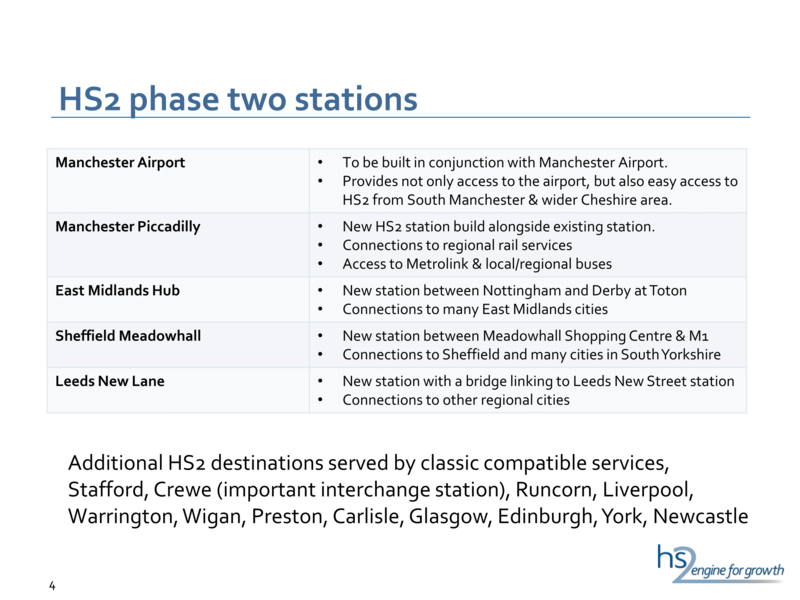 […] The LEP says it is now engaged in an “outreach programme” in North America, Asia and Europe to explain the benefits of HS2 and persuade businesses to locate their European and international headquarters in the area, and not just move operational and production facilities. At the time of writing, the following ‘information’ is available on the GBSLEP website. 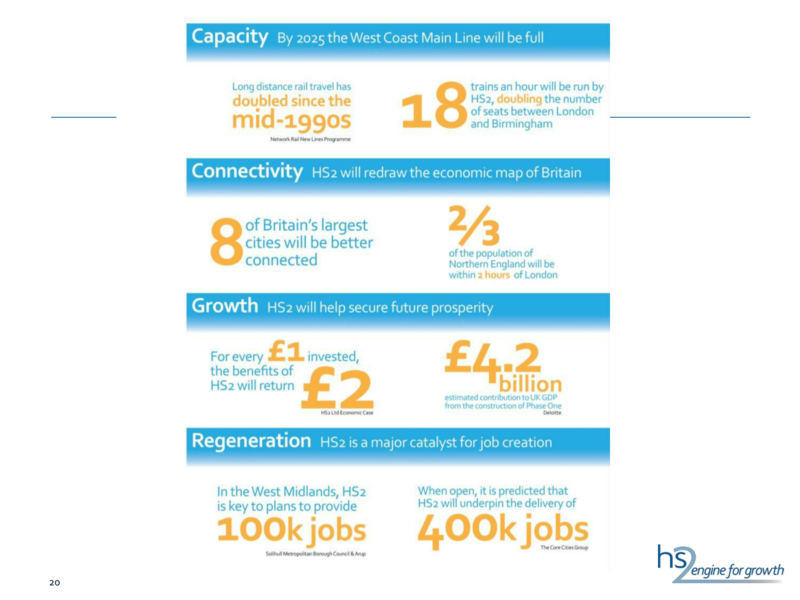 Commissioned by GBSLEP, the Midlands HS2 Growth Strategy sets out the opportunities that the arrival of HS2 affords the region. 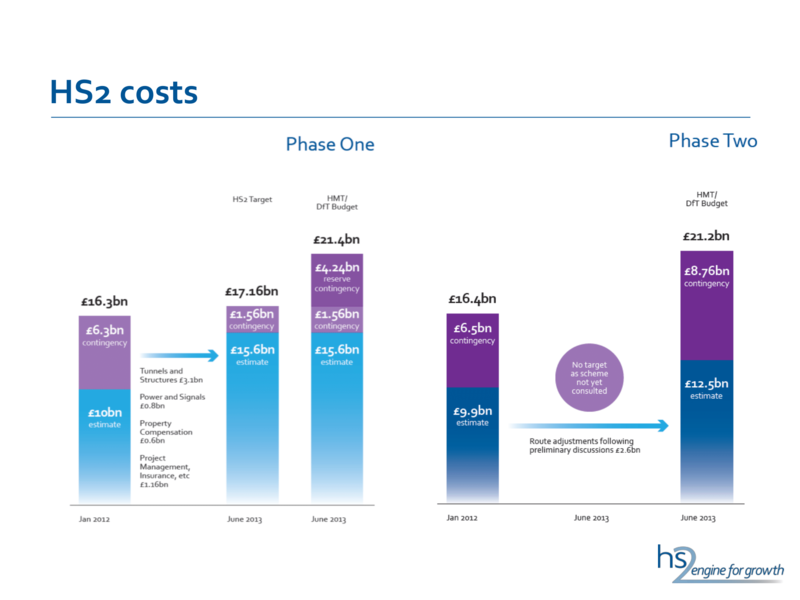 It aims to leverage the benefits delivered by HS2 to drive local growth on a nationally-significant scale over and above the construction of HS2, through targeted packages of interventions that are tailored to the local context. It will ultimately drive job creation, increase productivity and generate net national growth, such that the investment will pay for itself over time. 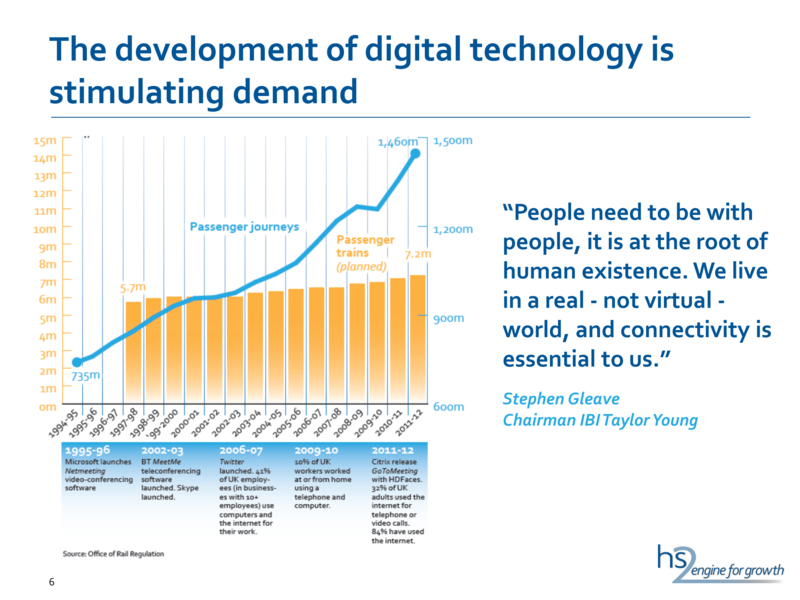 The plan to connect “2,000,000 of the region’s population to HS2 by public transport” includes spending £400 million on a shonky tramline to Bickenhill. According to transport secretary Patrick McLoughlin, “the truth is that much of the [rail modernisation] work” (which he has just “paused”) “should have been done decades ago”. So why “pause” it, if it should have been done decades ago? You’ll be adept at writing for consumer and business audiences on sensitive topics and will ideally possess a background in large infrastructure projects or the public sector is desirable. 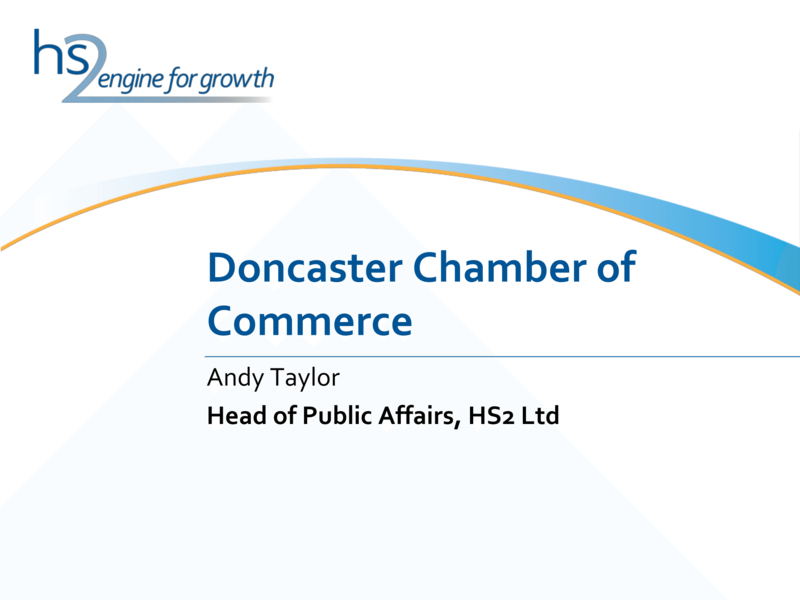 At the time of writing, the Doncaster Chamber website hosts a presentation by Andy Taylor, HS2 Ltd’s Head of Public Affairs since May 2013. His LinkedIn profile states that his approach is “simply to engage in reasonable conversation”, but judging by the content of his Doncaster presentation, it might be better described as ‘mislead and obfuscate’. I have a strong record of leading successful campaigns and setting up new public affairs teams and functions as a senior leader within high profile organisations. My particular skill is putting strong political analysis to practical use with effective and engaging campaigns. My approach is simply to engage in reasonable conversation, building coalitions of support and resolving barriers and opposition to meet my company’s objectives. I am experienced and adept at communicating with different audiences through a range of channels – from community meetings to social media – postcard campaigns to briefings around the Cabinet table – debates in Westminster to mobilising grassroots supporters across the country. I have driven and influenced major legislative change, secured overwhelming majorities, and marked shifts in business and public opinion. My work has made significant impacts on reputation and on the bottom line, and left each organisation I’ve worked for in a stronger and more engaged position. I have a motivating leadership style, clearly focused on successful campaigns which not only satisfy short term objectives, but contribute to the wider mission and reputation of the organisation I am working for. I have the gravitas and clarity of purpose to build confidence at Board level to pursue bold and decisive strategies, and demonstrate a continuous approach to building and sustaining support, in complex, often controversial and highly accountable environments. I have experience of building strong motivated teams, both from scratch in a new organisation, and turning around a failing function in another. From motivating experienced professionals to widen their expertise and take on responsibility to developing people very early on, I am committed to helping individuals and teams achieve great successes and build fulfilling careers. 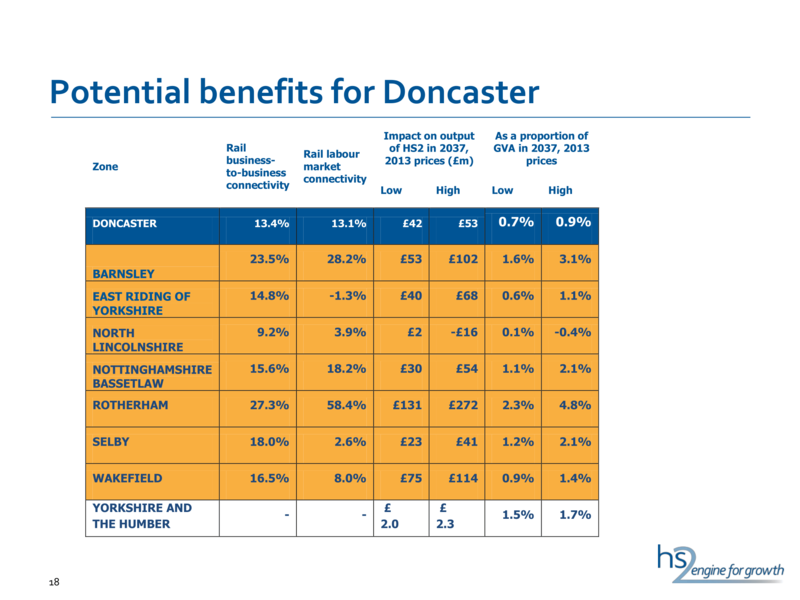 Mr Taylor’s Doncaster presentation contradicts some of HS2 Ltd’s other, equally dubious, “information”. 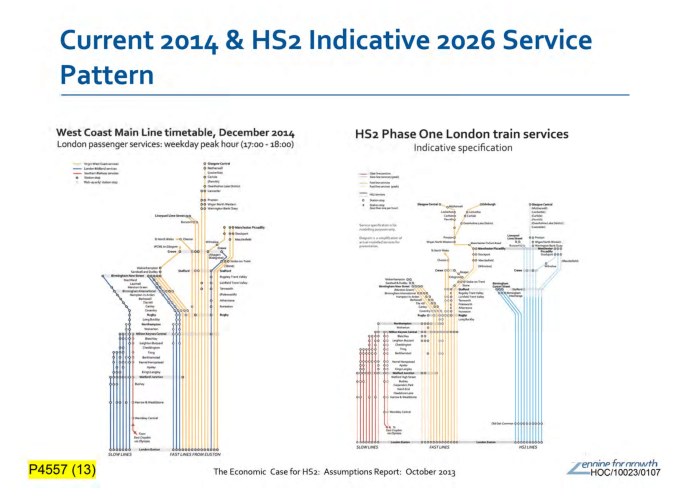 Compare, for example, his claim that HS2 would “Almost double the number of trains per hour on the West Coast Mainline from 16 – 30″ with Prof Andrew McNaughton’s illustration of post-HS2 service. According to Les Echos, the future ‘low cost’ TGV Ouigo high speed train service between ‘Paris’ and Aquitaine might be routed via the existing main line, rather over the high speed track (being built at a cost of several billion euro) and use Massy as its northern terminus. As with the Paris – Lyon relation, there seems to be a need to make Ouigo inconvenient for business travel, to limit migration from regular TGV. […] Seconde interrogation, la nature de la ligne empruntée pour relier Bordeaux. Aujourd’hui, les TGV circulent sur le réseau classique à partir de Tours, pour un temps de parcours, pour les liaisons directes, un peu supérieur à 3 heures. Mais cette ligne va être doublée à partir de 2017 par une ligne 100 % TGV, le groupe Vinci ayant remporté l’appel d’offres pour la construction et l’exploitation d’une nouvelle section TGV entre Tours et Bordeaux, qui mettra Bordeaux à 2 h 05 de Paris. En 2017, la SNCF aura donc le choix entre les deux itinéraires. Et selon plusieurs experts, elle pourrait choisir de faire circuler les TGV classiques sur la nouvelle ligne et les Ouigo sur la ligne actuelle. La SNCF récrimine en effet depuis plusieurs années sur le niveau des péages qu’elle devra acquitter à Vinci pour faire circuler ses trains. Ces péages seront déjà difficiles à supporter économiquement par les TGV classiques, assure un expert, ils sont tout bonnement inenvisageables pour les TGV low cost.